Thanks for stopping by! It’s time for a monthly update. The website crashed and burned back on May 12th 2014. All of my old posts were lost and I cried like a baby. Rest assured my beloved readers-I fired everybody. The good news is that I finally have things back to normal around here (well almost). Readers: 108 views. That’s not bad considering I didn’t have any new posts all month. 2: Catch up on my magazine reading! 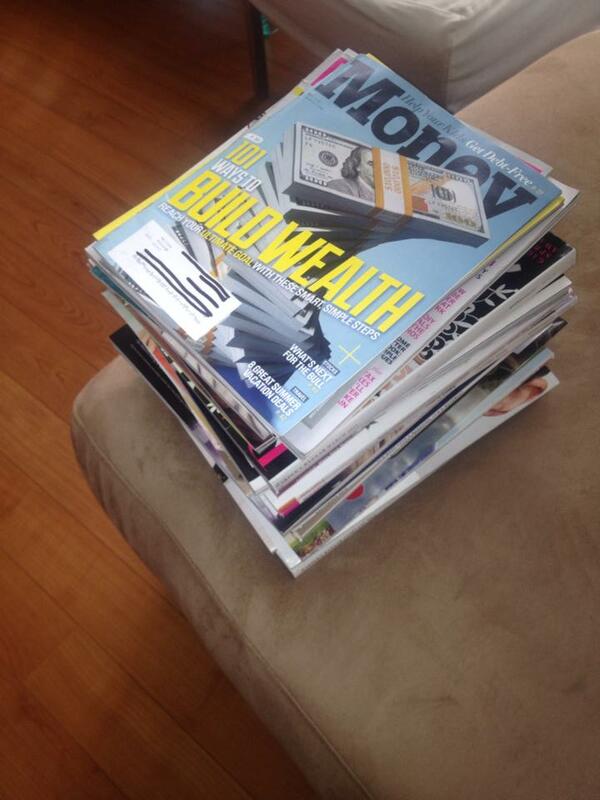 I posted a picture of my pile of magazines on the Facebook page asking you guys to guess the number in the pile. I will give you guys a chance to put your guess in the comments section before I reveal the number. 3: Fix blog. I need to list this one twice because it’s very important-unfortunately, I’ve been putting it off. 4: Catch up on my TV watching! 5: Just kidding about item #4. I ditched the cable when I moved (more on that craziness later). 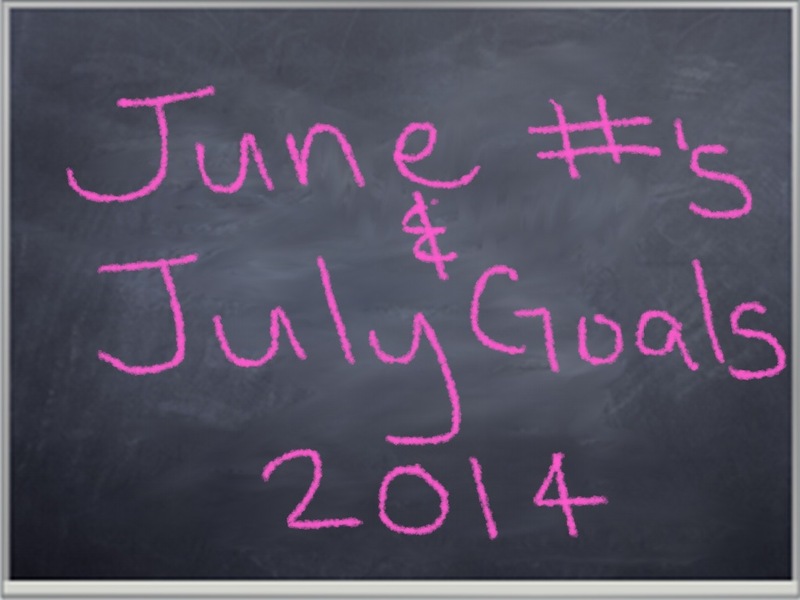 What are your goals for this month? Should I start taking bets on the number of goals that I’ll actually accomplish? What magazines do you subscribe too? I see Money is one of them. I would guess 18 magazines. Good Guess Brent! The number was 39! I subscribe to Real Simple, MarieClaire, Essence, American Fitness, Zumba Life, the Costco magazine, the Washington Post Magazine. I also have a few subscriptions that I have no idea where they have come from and that’s Bazaar (literally and figuratively)! Thanks for your guess. As you can see, it was off! topic of this website, this weblog is genuinely awesome. him as no one else recognize such targeted about my trouble.